Lunch Spots in Daikanyama Tokyo! Let’s get right to it! We went all over Daikanyama Tokyo, and here are the best spots there! If you are visitng Daikanyama Tokyo, then you shouldn’t miss these spots! 2 Tasty PIZZA SLICE at Daikanyama Tokyo! 3 It’s all About Nature at BIRD! 4 The KING GEORGE Wishes For Your Enjoyment! 5 Delicious SANDWICH’s at TOM’s! Right in-between Shibuya and Daikanyama Tokyo, Buy Me Stand is a Vietnamese cafe that focuses on making delicious sandwiches. I loved the small, yet great atmosphere of old fused with new. Great little spot when you want to grab a quick bit to eat before you embark on your next adventure at Daikanyama Tokyo. 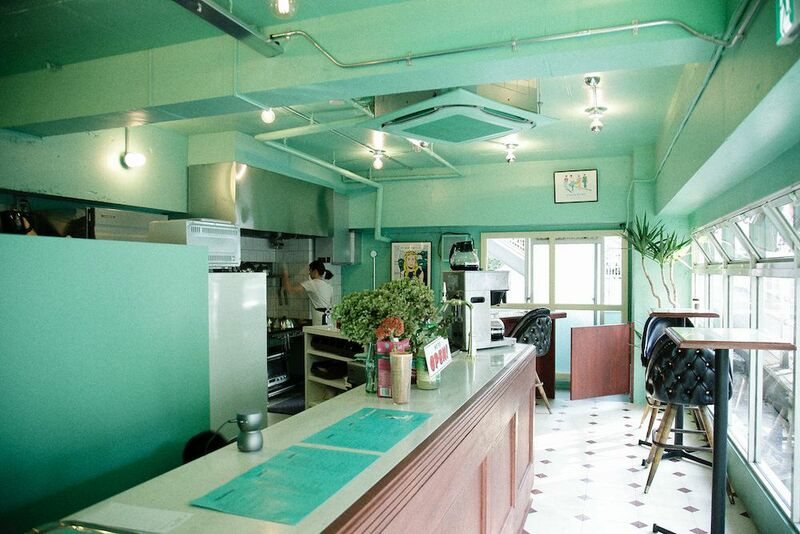 Address:1-31-19, Higashi, Shibuya-ku, Tokyo Apartment Namiki bridge 302. Tasty PIZZA SLICE at Daikanyama Tokyo! Next on our list is for those pizza lovers! Pizza Slice at Daikanyama Tokyo, is a great little pizzeria that opened at Daikanyama Tokyo in 2013. If you want great NY style pizza for 500 yen, then this is the spot for you. I recommend trying their special peperoni slice pizza! It’s all About Nature at BIRD! Next on our list of the best spots in Daikanyama Tokyo, Bird, is a fun little cafe with a unique interior design that makes it look like you are having your meal in a super nice backyard with your friends. I enjoyed the grass-like flooring and their sandwiches! The KING GEORGE Wishes For Your Enjoyment! Next, King George at Daikanyama Tokyo is a small little cafe that focuses on natural and healthy ingredients to bring customers in. Everything they serve is fresh and delicious. I would recommend checking out King George if you love a fresh meal. It’s a small place in Daikanyama Tokyo I would recommend going with 1 or 2 friends. 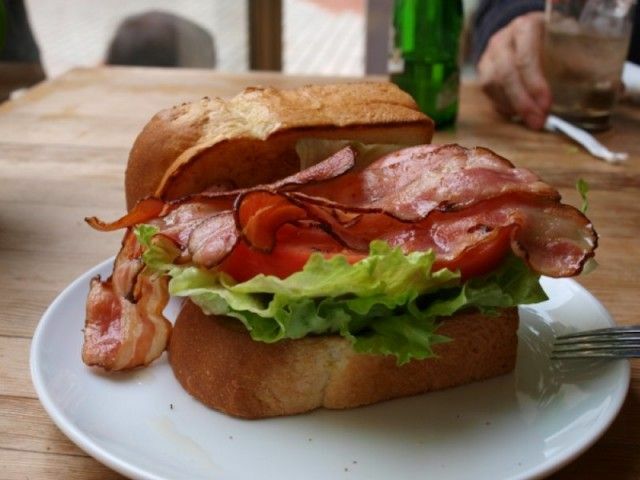 Next on our list is Tom’s Sandwich in Daikanyama Tokyo. As the name states, their specialty is making sandwiches. They do have a large sandwich menu and have around 20 different kinds of combinations you can try for yourself. I love variety, and Tom’s sandwiches are imaginative and delicious. One of my personal favorite lunch spots in Daikanyama Tokyo. Last, but not least we have Bombay Bazar in Daikanyama Tokyo. 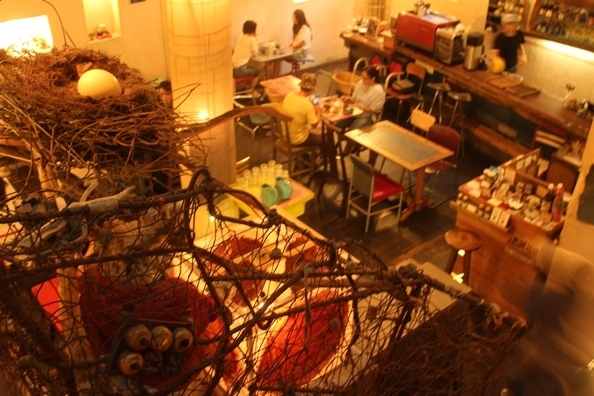 Bombay Bazar’s store theme is like an underground basement filled with trees and fake (but nicely placed) bird nests. What brings people to Bombay Bazar in Daikanyama Tokyo is their great coffee and Japanese style curry and rice (which I loved !). I would recommend going if you want a hefty lunch at a reasonable price.